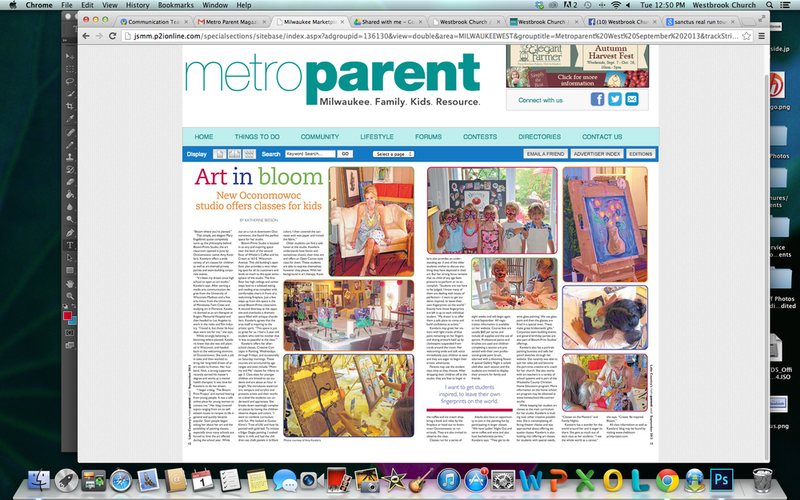 Did You See Us in Metro Parent Magazine? Some of the article is not entirely accurate since I was interviewed mid-summer, but the writer did a really beautiful job expressing our passion for this art school! If you have time today, please check it out!!! Just CLICK THIS LINK , scroll through the online publication by clicking the corners of the pages... and you will find our article a few page flips in!